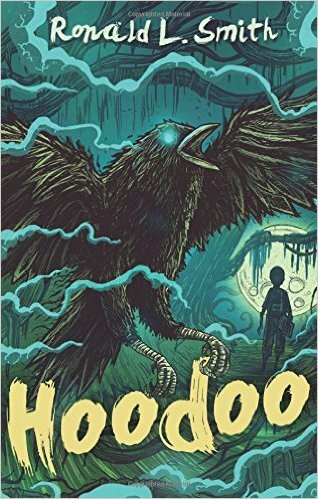 Happy book birthday to fellow Marylander, Ronald L. Smith for yesterday’s release of his debut mid-grade novel, HOODOO with Houghton Mifflin Harcourt! Twelve-year-old Hoodoo Hatcher was born into a family with a rich tradition of practicing folk magic: hoodoo, as most people call it. But even though his name is Hoodoo, he can’t seem to cast a simple spell. When a mysterious man called the Stranger comes to town, Hoodoo starts dreaming of the dead rising from their graves. Even worse, he soon learns the Stranger is looking for a boy. Not just any boy. A boy named Hoodoo. The entire town is at risk from the Stranger’s black magic, and only Hoodoo can defeat him. He’ll just need to learn how to conjure first. For those attending the Baltimore Book Festival, Ronald will be presenting on Friday, September 25th from 1:30 to 2:30 at the Enoch Pratt Free Library Children’s Stage! Go here for more information. Again, congratulations, Ronald, and best of luck with your incredible debut! Next post: 2015 Baltimore Book Festival … got books, hon?